We are Kansas City’s local, family-owned custom jewelry store. 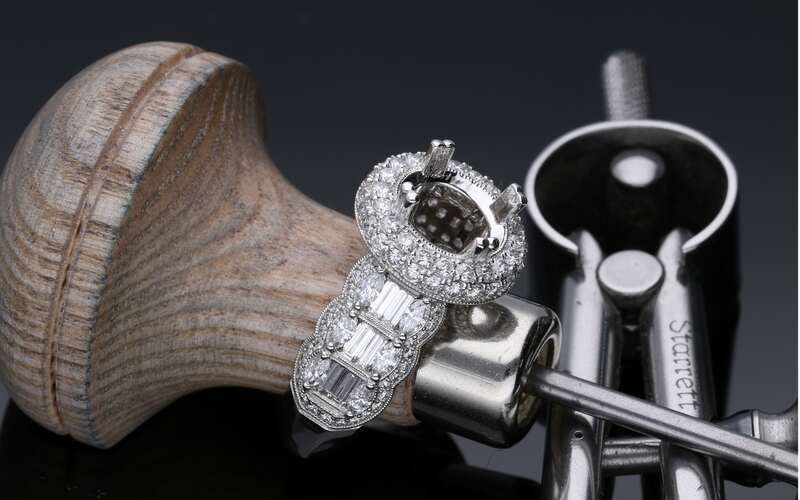 And we are the ONLY store featuring a 100% in-house design and finish team, with hand-selected diamonds direct from the cutter representing only the top 5% in each diamond grade. Come see the difference for yourself, and explore amazing possibilities with custom jewelry design, custom engagement rings, wedding rings, and fine jewelry. 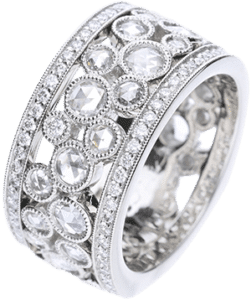 House of Diamonds consistently updates our state-of-the-art jewelry design and crafting technologies, far more than any other store in the Kansas City area, and our team of top-quality designers and craftsmen will bring your jewelry designs to life! All work is done completely in-house in our Overland Park, Kansas store to ensure perfect design execution and quality. Quality we back with a double lifetime guarantee. In addition to our acclaimed custom jewelry we offer a showroom full of exclusive House of Diamonds creations as well as unique, hand-selected engagement, wedding and fashion rings, necklaces, earrings, bracelets, unique colored gemstones, and more! Our diamonds are also hand-selected, direct from only the best cutters and represent the top 5% in each GIA grade. We do not and will not sell lab-grown diamonds. You deserve better than “Lab-Grown Love.” Come compare for yourself side by side and see the difference between the top 5% and what you’ll find online and elsewhere. You’ll never have to look through a selection of sub-par diamonds at House of Diamonds. Located in Overland Park, House of Diamonds has been recognized and awarded as Kansas City’s best jewelry store. A local, family-owned store known for superior diamonds and pricing, custom jewelry and one-of-a-kind engagement rings crafted 100% in-house. No one in Kansas City or online can touch House of Diamonds for both quality and price. We hand-select every diamond direct from the best cutters, choosing only the top 5% in each grade. Yes, there’s a noticeable difference – even within grades! Come and compare. The team at House of Diamonds is unsurpassed in both knowledge and commitment to helping clients get the best jewelry and value. With decades of experience, market-leading technology, and a passion for quality and service, there is no jewelry dream we cannot make happen. We’re very proud of our diamonds, our prices, and the incredible jewelry we create at House of Diamonds. But we’re most proud of the relationships we create with our clients. So while we love to talk about our store, our clients tell the story better than we ever could.